Home / Low Freight Rates: Boon or Bane? This year, back office offshoring solutions have seen freight rates that are so low. Though there has been an increase in the freight rate pricing, shippers are still paying low compared to what has been recorded in the previous years. Is low freight rates good for shippers and carriers? Is this how the transport competition should look like? The lower the freight rates are, the happier shippers become. Of course, for a shipper, nothing is better than to save big bucks in import and export costs. Carriers, on the other hand, are the most affected. They need an increase in the freight rates for them to get profit and to survive in the international shipping trade. The word “war” may have a negative connotation among carriers but for shippers, this context sounds very positive. Because a rate war means there is a healthy competition among carriers. This can further mean low prices for shippers, products and goods imported and exported can be priced fairly. This is just how we want to see business right? There is an abundance of supply and prices are reasonable where the market is not dominated by monopoly and oligopoly. Mega ships with their “bigger-is-better” attitude, have dominated the international shipping industry, increasing its cargo capacity exceeding the demands. With this, the law of supply and demand dictates the freight rate price to decrease. However, it should not be super low that it is hard to pull it up again. These giant carriers and their mega ships are the cause freight rates are going down beyond the normal supply and demand requires. In this trying time, carriers are pushed to form alliances with other carriers. This is the only option for smaller carriers to survive in the international shipping. With a pool or shall we say, an ocean of carriers, competition can get really tough and others may get kicked out from the transport business. Over the years, we have seen mergers and alliances from big and small carriers. This move ensures their spot in the race. Carriers are getting bigger with mergers and alliances thus making us think, could it be possible that carriers are pushing the freight rate wars way too far so that shippers may only choose one carrier with the lowest rate? Is this not the first step to monopolise the carrier market? If freight rate wars continue, it wouldn’t be too long before shippers will be concerned that bigger carriers are pushing smaller ones out of the competition so they can dominate the entirety of the market. 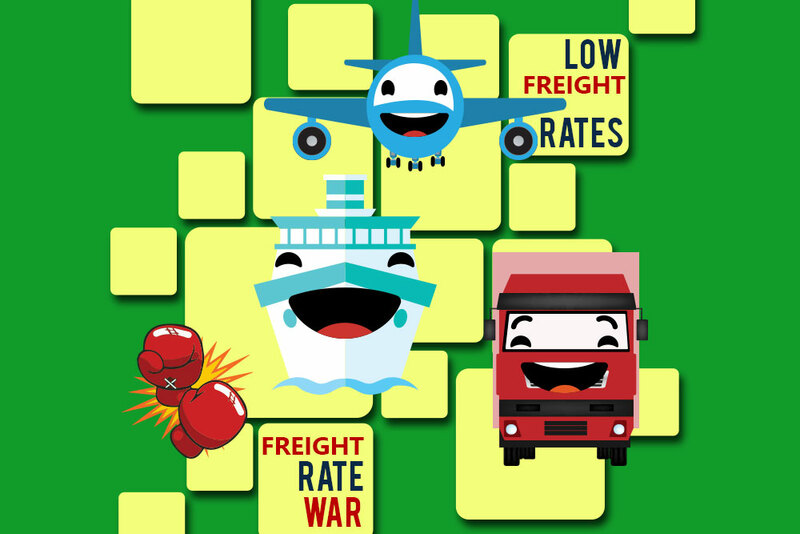 In the freight forwarding and logistics world, low freight rates have two faces. It can be beneficial to shippers and the consumers, however, in the long run, still go back to shippers suffering from carrier monopoly. Organisations using cargowise data entry services are also concerned that low freight rates will lead to less carrier competition and high freight rates at a later time which could have a lasting effect.